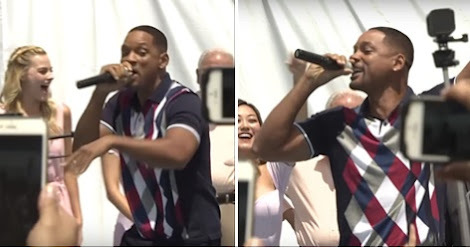 Will Smith has long been teasing a return to rap, which he continued this week with a performance of his track “Miami” in — where else? — Miami. Warner Bros. were hosting the event in Miami which was celebrating the release of next week’s Suicide Squad. A new mural of the film was unveiled, with Smith later taking the mic to perform a rendition of his old hit song. The track itself was first released in 1998 as a single off of Smith’s 1997 debut solo album, Big Willie Style. The year it came out, “Miami” peaked at number 17 on the Billboard Hot 100 chart.